This month, Dagogo.com highlighted a great review we received on our Sort Kones. In his article, Fred Crowder ran extensive listening tests using our AC, BC, and TC Kones on both a modest and reference system. 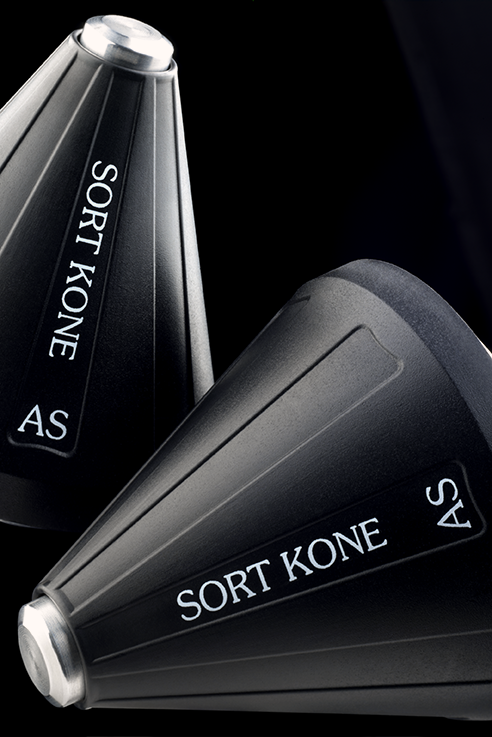 The benefits that he experienced throughout our Sort Kone range were exponential, regardless of system cost. Going into this review already content with an alternative vibration control device, Fred was surprised to find a comparable, if not better solution, at a much lower price point in Nordost’s Sort Kones! 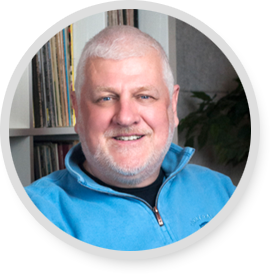 You can now read Fred’s full article, Nordost’s Sort Kones Review, on the review section of the Nordost website. After a trip to India, Brill is searching for some live music steeped in Americana, which he finds at the Regattabar in Cambridge, MA. Returning to this side of the globe from an astonishing trip to India. Music fills the air in India everywhere you go: from the ringing bells announcing the hundreds of worshipers to Hindu Temples in Jaipur every Wednesday to celebrate the Elephant God Ganesh’s birthday; to the chants and drums of Sikhs worshiping at their Golden Temple in Amritsar; to the blasts of horns leading daily processions through the streets of the desert towns of Bikaner, with camels and cows striding forth in their slow gait rhythms. Upon return from this glorious adventure, I yearned for a dose of true grit and gusto from some Americana roots music and so landed at the Regattabar (www.regattabarjazz.com) in Cambridge, MA. last week for some swing and sway from a foursome of illustrious Vermonters who pulled into Beantown for this sold-out show: Jamie Masefield on mandolin (he of the Jazz Mandolin Project); virtuoso Doug Perkins on acoustic and electric guitar; Jon Fishman on drums (he of Phish and Jazz Mandolin Project rhythm devil fame) and the puckish young Vermonter Tyler Bolles on upright bass. The Regattabar’s intimate confines were packed and the band immediately latched onto the heat and enthusiasm of the adoring crowd and tore into a medley of rambunctious acoustic string action. Perkin’s “Hang Glide” ripped through the air with Masefield carousing on his crisp mandolin solo in partnership with Perkin’s soft and fleet guitar swipes. A great rollicking bass solo from Bolles also entered the fray with huge isolated plucks that rattled and shook the walls of the R-Bar (picking up a little tin fuzz from Fishman’s nearby snare as well). Perkins is one gifted guitar player, as well as a bold and adventurous songwriter. The band featured several of Perkins’ compositions ranging from a lilting ballad, “Jill’s Waltz” (taken from his 2012 solo album, Music For Flat Top Guitar, [Thunder Road Records] to a happy-go-lucky “Troll Party,” steaming up with Perkins’ loose and free electric guitar work, all expansive and punchy. From these delectable original creations, the band also swerved into traditional bluegrass territory serving up steaming hot medleys built around slap-happy railroad songs (“Reuben’s Train”); gospel soars (“Working On A Building”) and barn-burning licks (“Cattle In The Cane”). Each number brought its own glittering rewards: Perkins and Masefield trading high velocity solos; Bolles pumping his bass in deep and rich tremors and that little dynamo, Fishman, creating a churning engine of percussive sounds on his drum kit with a pair of light brushes as his vehicle. Those brushes (which Fishman utilized for the entire concert) lit up everything from a soft purring Rumba beat to a headlong boil of snare, tom and bass drum swagger. From bluegrass to jazz and the blues, these four consummate musicians spread their wings and even tackled a little-known chestnut from Victor Young (who composed for Hollywood back in the 1930’s) entitled “Golden Earrings.” This number swept the audience off our feet with a version sounding like a sumptuous blend of Django Reinhardt swing combined with a Latin pulse – full of soft passion on Masefield’s opening mandolin solo (in which he took his time to deliberately pluck each note for its harmonic resonance). Here was a band in joyous flight: moving like a butterfly lightly from flower to flower with sparkling mandolin and guitar phrases that swooped and combined in unfolding, spontaneous and beautiful ways. This is a band to watch and relish as they evolve further in their infectious, beguiling musical comradeship. There’s another guy to keep an eye on in the swirling pot of great Americana roots scene creators, judging by his new full throttled recording. This is the singular new voice of Charlie Parr, ranging and raging through old blues, murder ballads and Spider John Koerner inspired originals in his 2015 release, Stumpjumper [Red House Records-www.redhouserecords.com]. Here is a string master and songwriter at the height of his powers offering songs that stick in your gut and your head, so much so that you may find yourself rolling over a lyric or two in your daydreaming moments or deep in the night. Joined by Emily Parr on vocals, Phil Cook on guitar and banjo, Ryan Gustafson on electric bass and fiddle and James Wallace on drums, Parr works his expressive music into a pounding, hypnotic brew. From the opening jostle of “Evil Companion” (with its crashing velocity of guitar strums, bass and drum thumps surging next to Parr’s feisty vocals) to the following gospel creaking number, “Empty Out Your Pockets” (with its spare banjo and electric twists), Parr is clearly on to something powerful. His voice is a perfect foil for all of this exuberant, irreverent action: craggy, gnarly, (thin as a reed) and full of raw vitality. The recording quality is not audiophile by any means, with compressed thinness and a small soundstage, but somehow this recording made at a farmhouse in North Carolina seeps into the mind and stays there, like a woodpecker burrowing into an old tree. Parr’s artistry ranges from his feisty originals about humans scurrying, hording and celebrating to survive: the round and round musical feast of “Falcon” (“when I pass by, Lord, please cover up my tracks”) to the title number, (a whirlwind of propulsive congestion, vocal soars and machine gun guitar brilliance). Parr also delivers lovely musings in soft, spinning ballads about family connections, memories and the passage of time. These include the beautiful, unfolding “Over The Red Cedar” (with Emily Parr’s soft harmonies perched next to Parr’s radiant vocal inflections and unflinching, circular guitar patterns) to the lovely “Remember Me If I Forget” with its chirp of light banjo and guitar, (with a pounding foot pedal on wooden floorboards keeping the airy song from launching into the air). Parr follows with the soulful and spirited push of his “Temperance River Blues” – an original that floats on the virtuosity of Parr’s lyrics and arresting images – all caressed in his surging vocal and guitar wake. The album ends with Parr taking the great murder ballad, “Delia”, (made famous by the master rogue David Bromberg) and spins this tale in his own web of light guitar intrigue and vocal explorations. Parr is the real deal: a rover of Americana with nervy urgency and a virtuoso’s eye for the prickly facets of life. 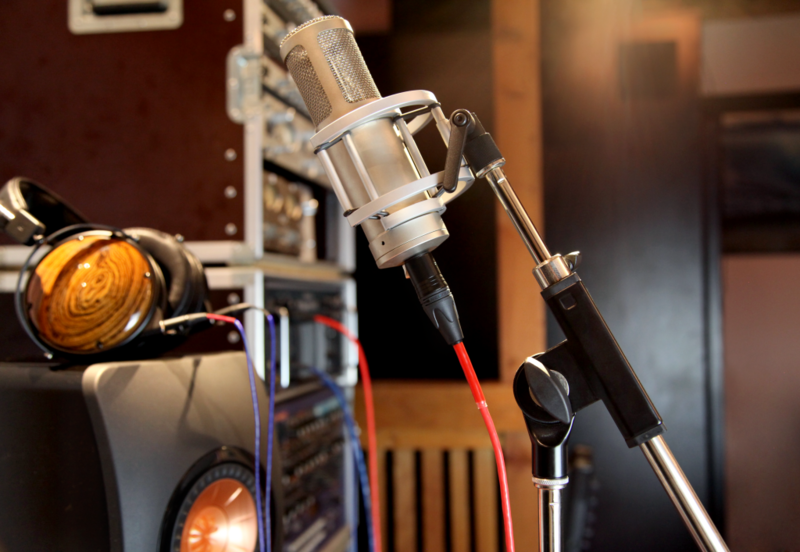 In order to produce a high quality reproduction of sound, both for stage as well as in recording scenarios, it is extremely critical that the microphone cable being used can accurately and effortlessly convey the range in frequency, dynamics, and emotion of the music and vocals being performed. The Ax Angel Microphone Cable guarantees the bandwidth and transfer speeds necessary to generate that much coveted, authentic sound. The Ax Angel Microphone cable is constructed using 4 x 24 AWG stranded, OFC conductors, which have been wrapped in Nordost’s proprietary Micro Mono-Filament technology. They are then enclosed in a layer of extruded, high performance FEP and protected with a braided shield. As an added precaution against the strain microphone cables are subjected to from constant plugging and unplugging, Nordost has added an Aramid Fiber Strength Member to its cable design. This strength member not only ruggedizes the cable by increasing its mechanical integrity, but the resonating properties of Aramid fibers also enhance sound quality. The standard option for the Ax Angel Microphone Cable is female XLR to male XLR. However Nordost’s microphone cable is also available in specialized terminations including 1/4 inch mono phono, 1/4 inch stereo phono and RCA terminations. The Ax Angel Loudspeaker Cable is comprised of two, stranded, 16 gauge OFC conductors. 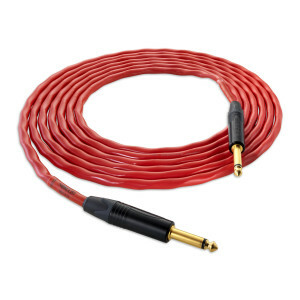 What sets this speaker cable apart from any other in the Pro Audio market? 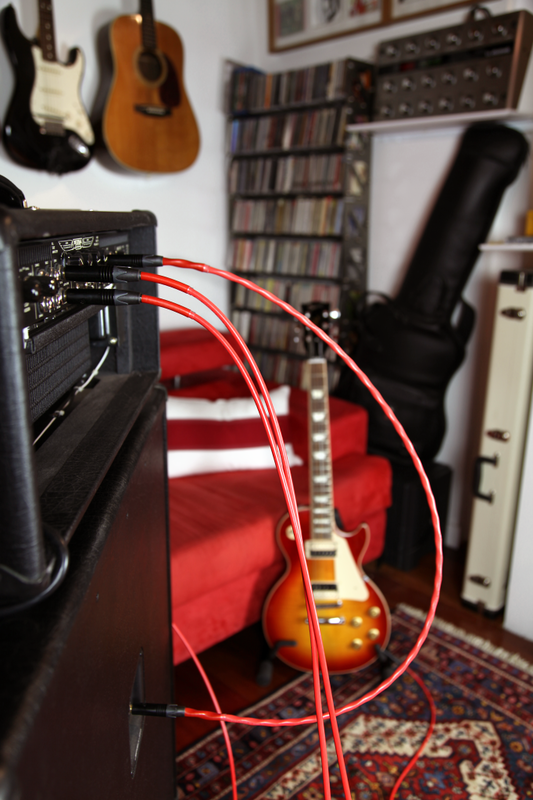 The Ax Angel Speaker Cable is improved exponentially thanks to Nordost’s proprietary Micro Mono-Filament technology. First developed for Nordost’s reference-level hifi audio cables, Mono-Filament technology has revolutionized sonic transmission. contact with the FEP insulation, suspending it in a virtual air- dielectric. This air gap reduces the insulation contact by 80% and guarantees the low capacitance, resistance and inductance needed in order to transmit audio signals with virtually no loss in information. 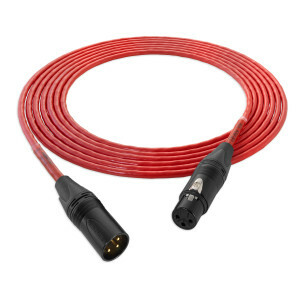 The Ax Angel Speaker Cable is available with both 1/4 inch phono and Speakon connectors to accommodate the most common terminations needed in a Pro Audio application.